Shortly after pleading the Fifth and claiming her innocence in front of the House Oversight Committee in May 2013, former IRS official Lois Lerner took three months of paid leave and then retired with a full pension. During her time at the IRS she received more than $100,000 in bonuses. 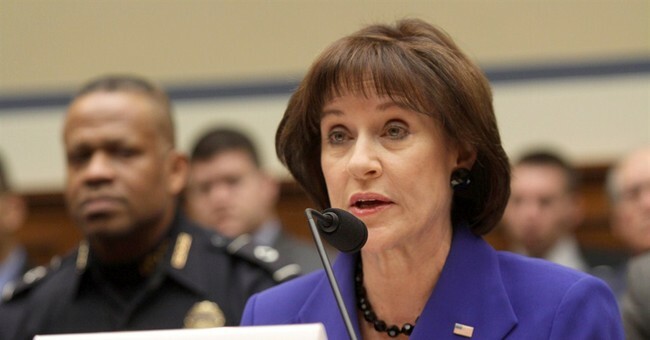 Lerner, of course, is the woman who was at the center of the IRS targeting scandal and met with DOJ attorneys in an effort to find a way to criminally prosecute tea party groups opposed to President Obama's political agenda. But Lerner wasn't the only IRS official who got off without consequences for turning the country's most powerful government agency into a political weapon used against everyday American citizens. Not a single persona was fired as a result of the agency targeting conservatives. As a result, the behavior at the IRS hasn't changed and according to former Oversight Committee Chairman Darrell Issa, the IRS is still engaged in bad behavior and targeting of conservative groups. Earlier this week, Judicial Watch released a trove of documents confirming the IRS used donor lists of conservative tax exempt organizations to target individual donors giving money to causes in opposition to President Obama's agenda. Judicial Watch announced today that it has obtained documents from the Internal Revenue Service (IRS) that confirm that the IRS used donor lists to tax-exempt organizations to target those donors for audits. The documents also show IRS officials specifically highlighted how the U.S. Chamber of Commerce may come under “high scrutiny” from the IRS. The IRS produced the records in a Freedom of Information lawsuit seeking documents about selection of individuals for audit-based application information on donor lists submitted by Tea Party and other 501(c)(4) tax-exempt organizations (Judicial Watch v. Internal Revenue Service (No. 1:15-cv-00220)). Zero accountability means continuing corruption and abuse of government power. Period.